The making of pictures has a history going back perhaps 100,000 years to an African shell used as a paint palette. Two-thirds of it is irrevocably lost, since the earliest images known to us are from about 40,000 years ago. But what a 40,000 years, explored here by David Hockney and Martin Gayford in a brilliantly original book. 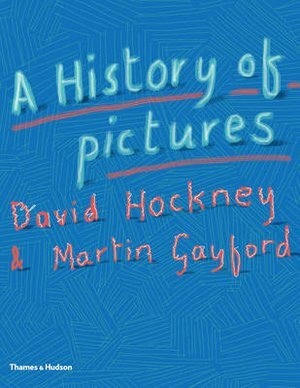 They privilege no medium, or period, or style, but instead, in 16 chapters, discuss how and why pictures have been made, and insistently link 'art' to human skills and human needs. Each chapter addresses an important question: What happens when we try to express reality in two dimensions? Why is the 'Mona Lisa' beautiful and why are shadows so rarely found in Chinese, Japanese and Persian painting? Why are optical projections always going to be more beautiful than HD television can ever be? How have the makers of images depicted movement? What makes marks on a flat surface interesting? Energized by two lifetimes of looking at pictures, combined with a great artist's 70-year experience of experimentation as he makes them, this profoundly moving and enlightening volume will be the art book of the decade.